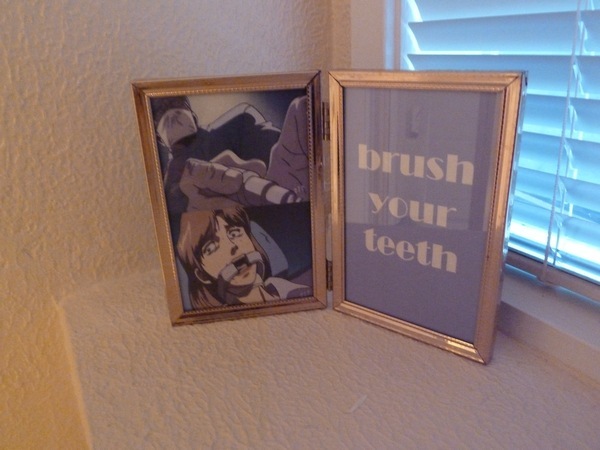 Except...I have unfortunately been tainted by something called AMV Hell, thus giving the "brush your teeth" phrase an entirely different (and much more disturbing) meaning. If you want to see what I'm talking about, here's a link to the youtube video clip. The particular bit starts at 0:50. For those that maintained their purity and didn't click the link, it's basically clips from the anime Speed Grapher (which I have not watched), set to the music of Kompressor's "Brush Your Teeth". Angry man yelling "brush your teeth", and demonic dentist drilling the life out of some poor patient. In the bathroom, of course. This definitely earned a "what the heck" from Sak, so mission accomplished! He's lucky it's in the guest bathroom and not our bathroom. Being as I actually have fear-of-dentist (and even more fear-of-dental-hygienist), I think I'll replace the creepy anime picture with something cuter/happier once Halloween is over. But for now it stays. 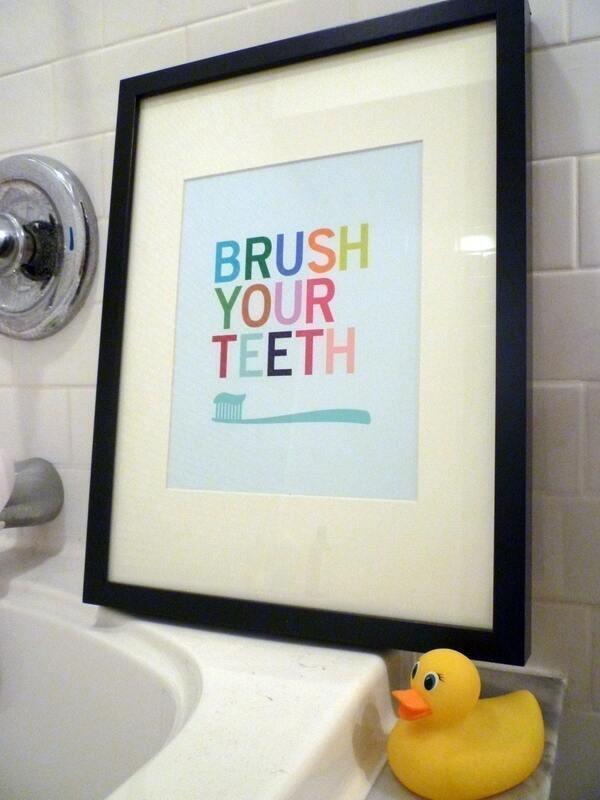 Brush your teeth kids! Or else the dentist will kill you! Bwahahahaha! I didn't watch the youtube link. But I did watch the anime...back in 2005. I think that guy was into it, if you know what I mean. Lol, I have close friends who are in the dental field. And I LOVE going to the dentist for a cleaning. I have a bit of an obsession bright and clean teeth, it feels great after a good floss and brush. I cringe and all when I'm getting my teeth cleaned, but I usually feel good after the tingling goes away. I just hate the squealing sounds from their tools hitting my teeth (and what feels like my brain)! aack! that creeps me out! Eeek! I hate dentists too. 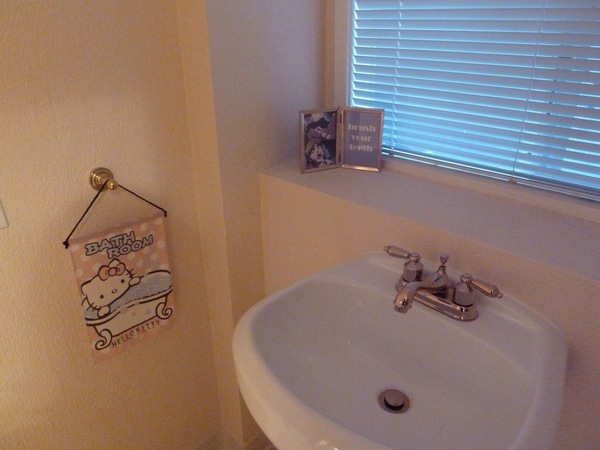 I like how the scary sign is balanced out by the cute hello kitty towel though!